2-hour train journey, departing at 11:30 a.m. Your tour begins with an elegant tranquil train journey northbound through the spectacular Napa Valley aboard our intimate luxury rail car where your gourmet lunch awaits. Soup du Jour or fresh Baby Lettuce Salad. And your choice of gourmet entrées. Croatian-born founder and winemaker Miljenko “Mike” Grgich is the man behind Grgich Hills Estate. He’s also renowned for his role in the 1976 Paris Tasting, a blind tasting of renowned white Burgundies from France and a sampling of new Napa Valley Chardonnays. Shocked French judges selected Mike Grgich’s 1973 Chateau Montelena Chardonnay as the finest white wine in the world, making him a legend. 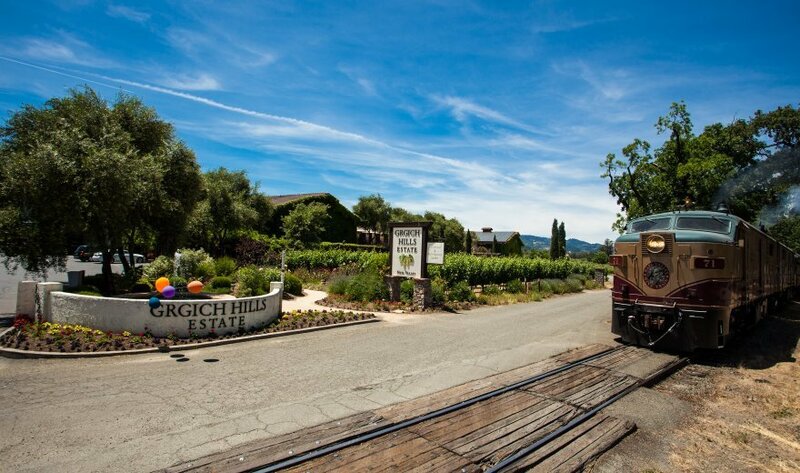 Today Grgich Hills is known for producing world-class wines sustainably, with care and passion. Go on a private behind-the-scenes tour of the Grgich cellar and production. 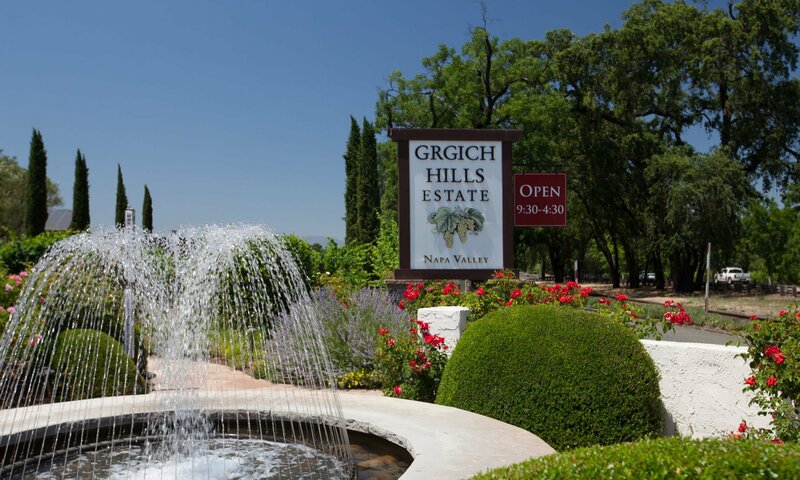 Surrounded by oak barrels and the enticing aromas of wine at various stages of its journey, get an exclusive taste of a variety of Grgich Hills wines. Explore the beautiful outdoor patio and overlook the legendary terroir that took the wine world by storm. Grgich is still very much involved at the winery and vineyard. With any luck, you just might meet this sprightly and charming legend in person. A legendary tour and then, a special treat is waiting for you back on board the Train: coffee or tea and a decadent dessert. Savored at your leisure in luxury, as you head through the Napa Valley back to Napa.